Accidentally locked your phone? Forgot your TrustGo password? We're here to help! We’re always ready to help you at support@trustgo.com, but some of the most common questions we receive are answered below. Checking these answers first may help you get the assistance you need more quickly. How do I find my phone? It’s recommended that you install or upgrade to the latest TrustGo app, especially if you are using the beta version (v0.9 or lower). Loss Prevention has been greatly improved in versions 1.0 and above. 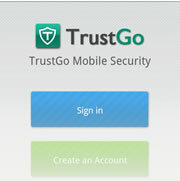 When you launch the TrustGo app, sign in to your trustgo.com account from the splash screen, or by using the menu button from the home screen of the app. An account is required to locate your phone. 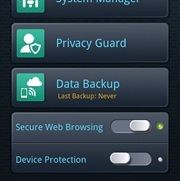 Enable Loss Prevention from the main screen by selecting Device Protection -> Loss Prevention. 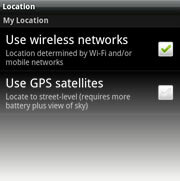 You may be prompted to turn on cellular or GPS location services, if your phone does not have them turned on already. At least one of these location methods must be enabled in order to find your phone. Log in to the web management panel by pointing any web browser to trustgo.com. 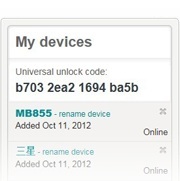 Select the Find My Phone tab, and click the device you wish to locate. That’s all there is to it! I forgot my TrustGo account password. How can I recover it? 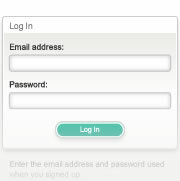 1Visit the log in page and select the option for a forgotten password. 2Enter the email address you used to sign up for TrustGo. 3Check your email for a password assistance message, and click the link in the email. If the link is not clickable, copy and paste it into your browser’s address bar. 4Now simply enter a new password, and you’re all set! If I lock my phone, how do I unlock it? Once you’ve locked your phone, it can only be unlocked with your TrustGo account password. I’ve locked my phone, and I also forgot my TrustGo account password. Now what? You still can reset your password with your valid email address from the log in page. Please note that it will take a short while before the new password will be recognized by your device. If you’re still having trouble, drop us an email at support@trustgo.com with the email address you registered on trustgo.com. The TrustGo support team will be in touch with you shortly to help unlock your phone. How can I uninstall the TrustGo app? 1Navigate to Menu > Settings > Applications > Manage Applications from your device’s home screen. 2Find the TrustGo app in the Downloaded tab, click it, and then select Uninstall. 3If TrustGo’s self-protection is enabled, step 2 may fail. Please first disable self-protection by navigating to Menu > Settings > Self Protection from within the TrustGo app, and entering your TrustGo account password. Then repeat steps 1-2. Why does your app need all these permissions? 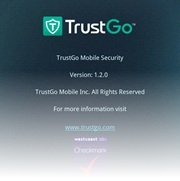 In order to provide you with a comprehensive security solution, the TrustGo app requests certain permissions. The use of each permission is explained in detail below. How do I know my data is safe with TrustGo? The security of your data is of the utmost importance to us--it’s the cornerstone on which we build our business. Please see our Privacy page for comprehensive details of our data handling policy. Didn’t locate an answer in the FAQs? No worries. Email us at support@trustgo.com to let us know the details of your situation. A team member will be get back to you very soon.